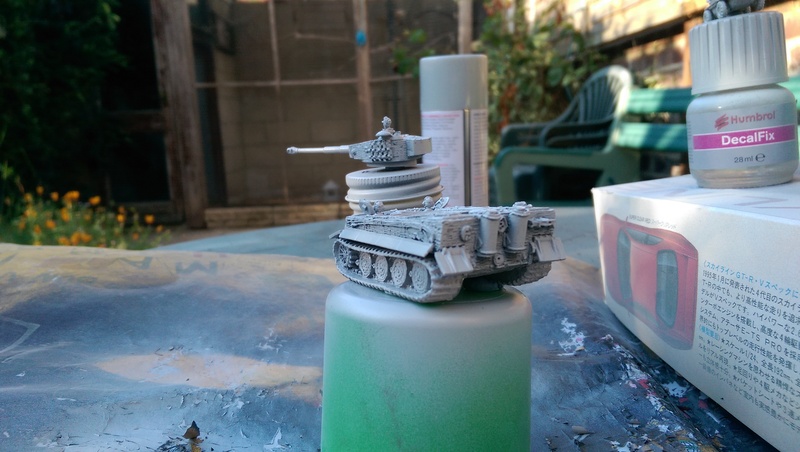 I felt like doing a bit of hand painting this week and decided to give the Flames of War Tiger tank I built a go. 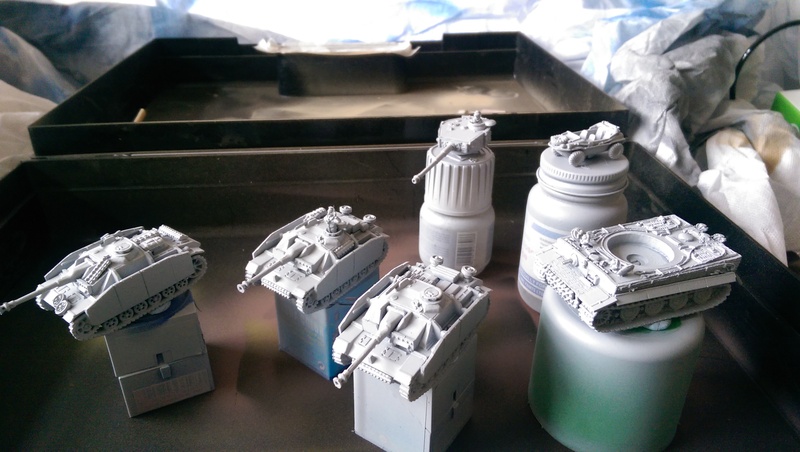 Last year at Tank Fest I purchased the Flames of War Open Fire Starter box. For those who don’t know, flames of war is like a real war (mainly ww2) table top game like Warhammer. Even if I never play the actual game I thought it would be nice to make the models in it. 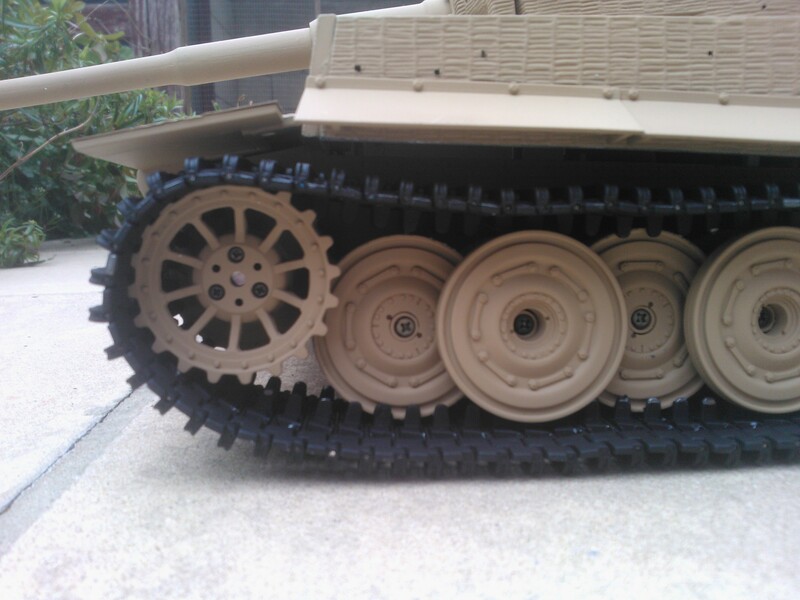 I have recently built the Stug G tanks from the set as well as a Wittmans Tiger Tank I found on eBay. 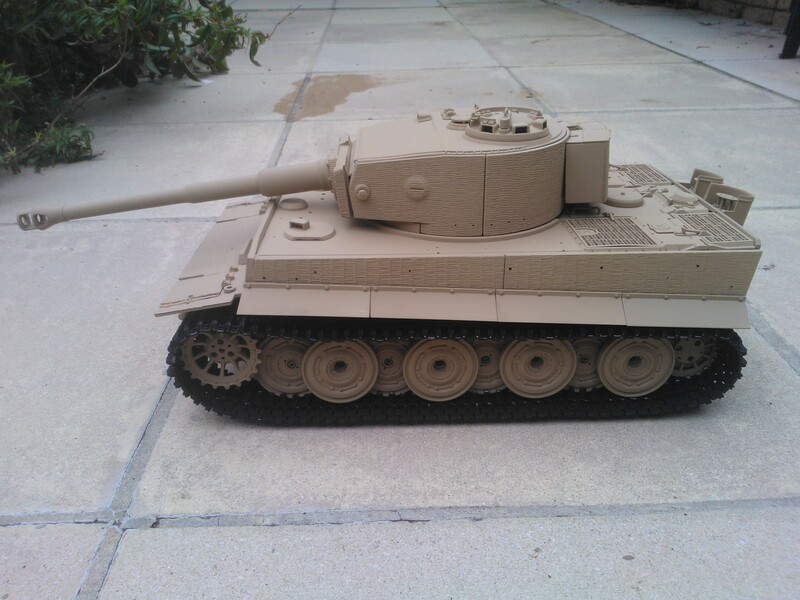 The Tiger kit was new and good fun to build. It has a resin hull with any additional parts to add being metal. 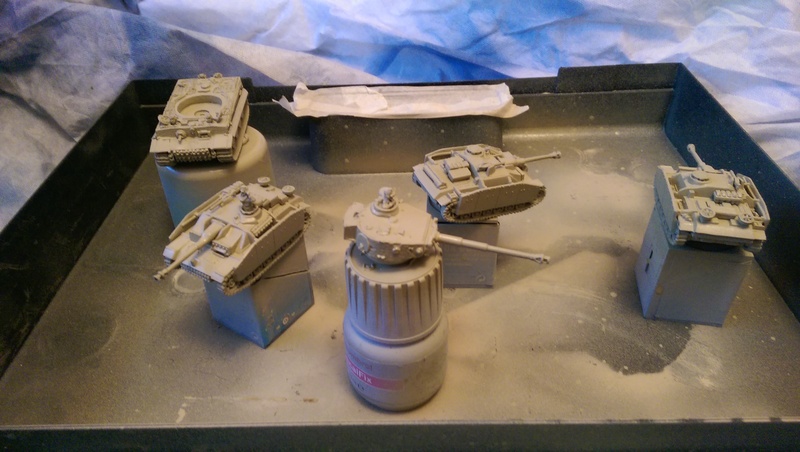 Here I have started the process of painting the models by giving them a coat of grey primer. I then airbrushed the base coat for the models using lifecolor RAL 7028 DunkelGelb. Yes DunkelGelb is that infamous colour of German armour that people will argue about till the end of time. Being basically dark yellow in German I guess its open to a lot of interpretation. I have used a variety of different shades of dark yellow on German Armour and find lifecolor’s one to be the best. 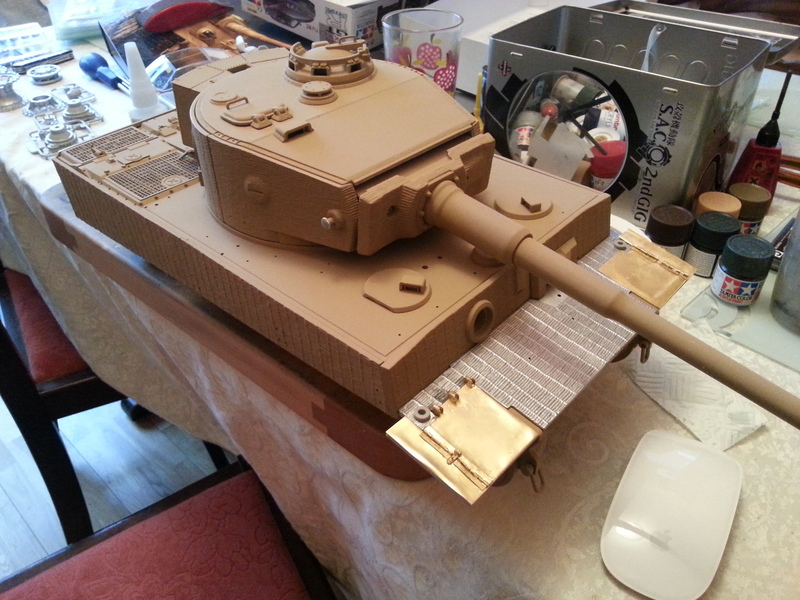 I finally got around to doing some more of my tiger tank build at the weekend. Last week I received the final parts of the series so I thought it was time to get back into it. In this session I fitted the exhaust stacks to the back of the tank and added the left track. 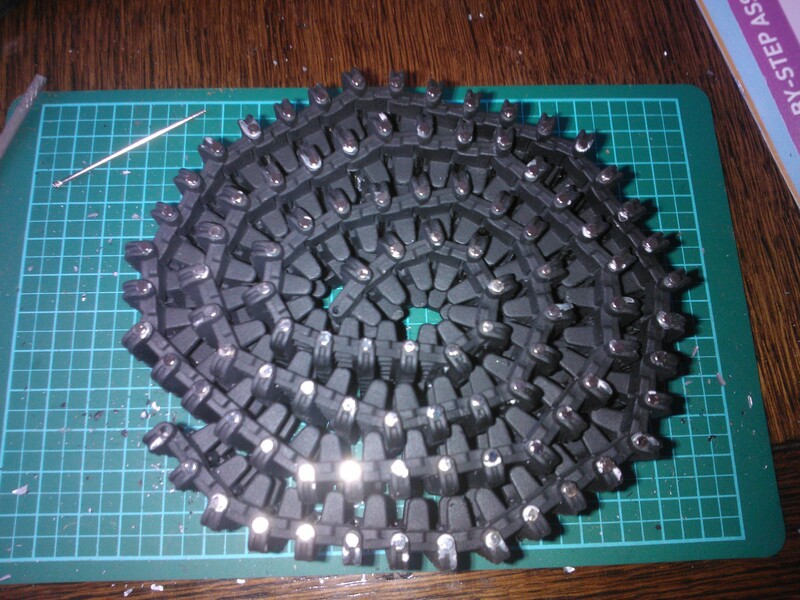 The track is made of 96 metal links held together with pins. 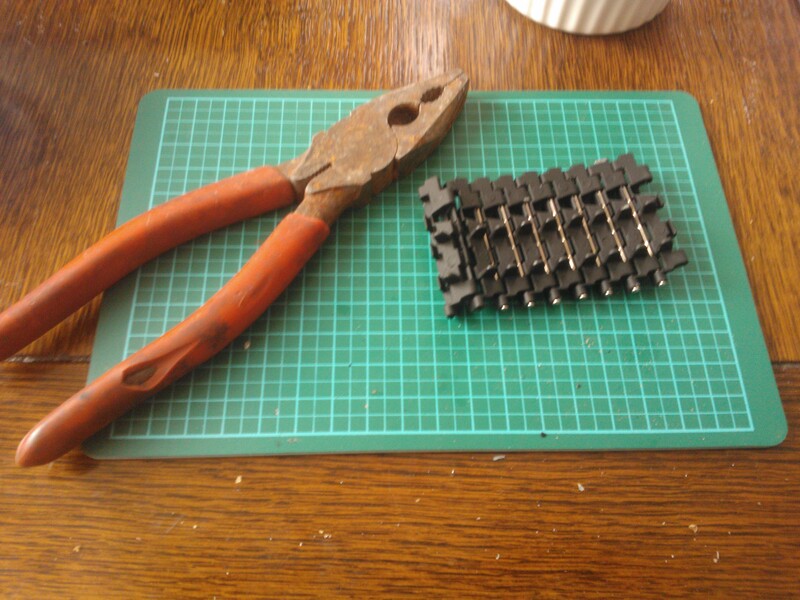 I did encounter some badly cast track links, but these were overcome with a bit of filing and brute force. 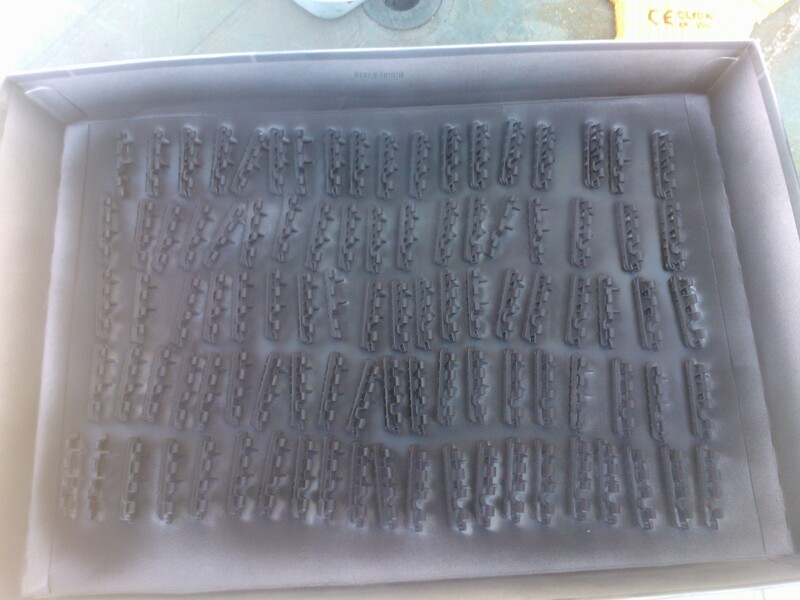 The tracks fresh out of the packaging. Spraying the track links black. 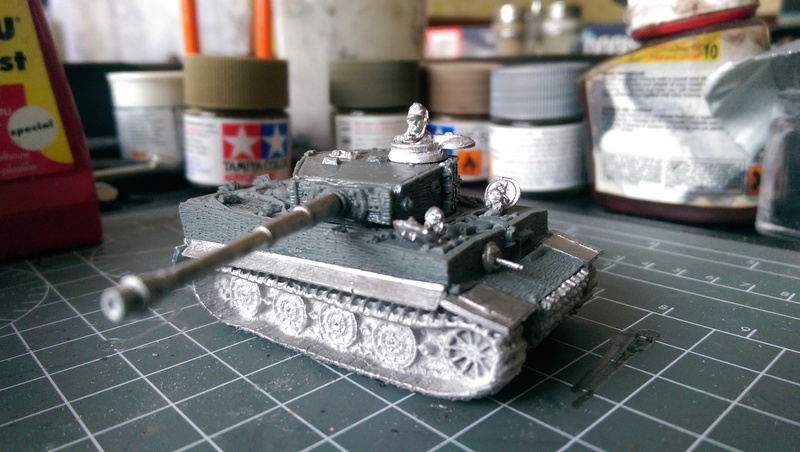 I finally got round to doing some more work on my Tiger Tank. The parts I have been working on are the lower hull and front plate. 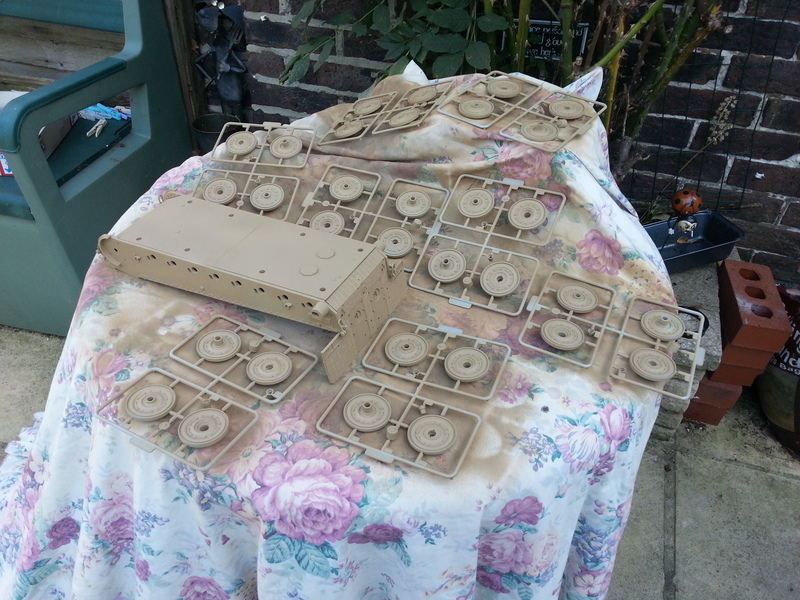 The brass etched mud flaps were a pain as you had to bend all the tiny parts into shape. It is proving to be an expensive model to paint, I used two cans of spray paint on the hull and road wheels alone. 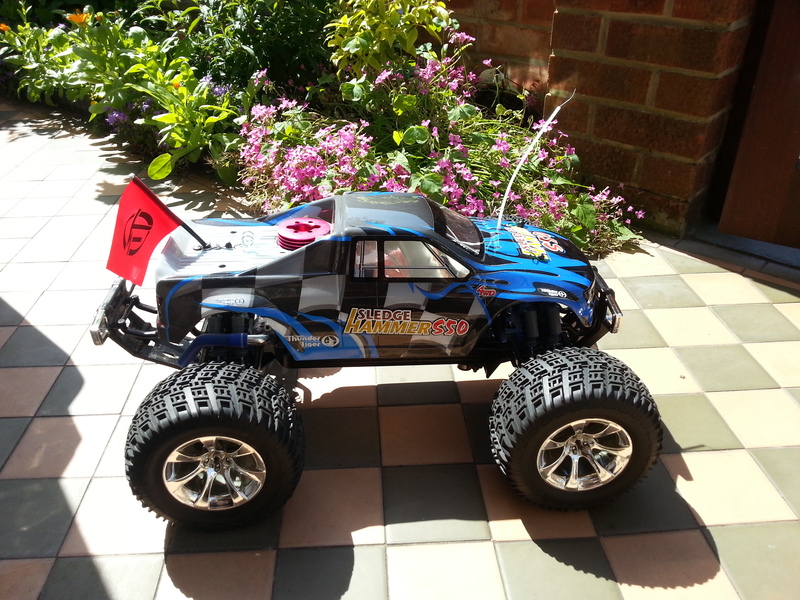 Repaired my monster truck, its running faster than ever! Last night I repaired my Sledgehammer S50. I took it out for a test drive today and its running faster than it ever has before. About a month ago my exhaust somehow become detached from my engine. I can only think this happened after my monster truck flipped while turning at speed. Because of the great performance of the S50 I do tend to drive it quite fast! There was no actual visible damage to the car except some scorch marks on the manifold and one of the screws holding the manifold to the engine had come out. 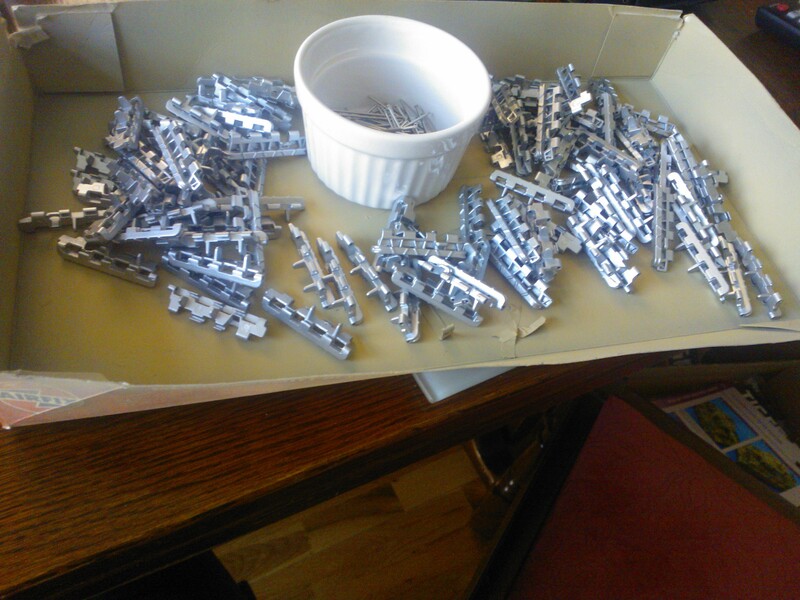 I tried to order a manifold set from Modelzone but surprise, surprise they had none readily available. So for the second time I tried phoning up Modelzone spare department. As with the last time I contacted them they said they would have the part in 1 – 2 weeks and they would phone me. As expected I have still heard nothing from them. Thankfully my dad being an adapt ebay user managed to track down some screws that fit it and the total repair bill come to less than £2. 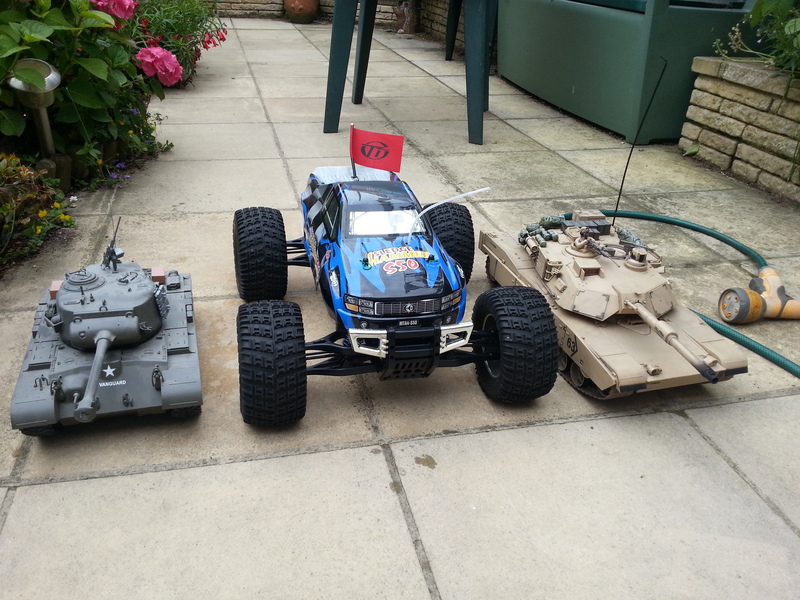 It dwarfs other rc vehicles. 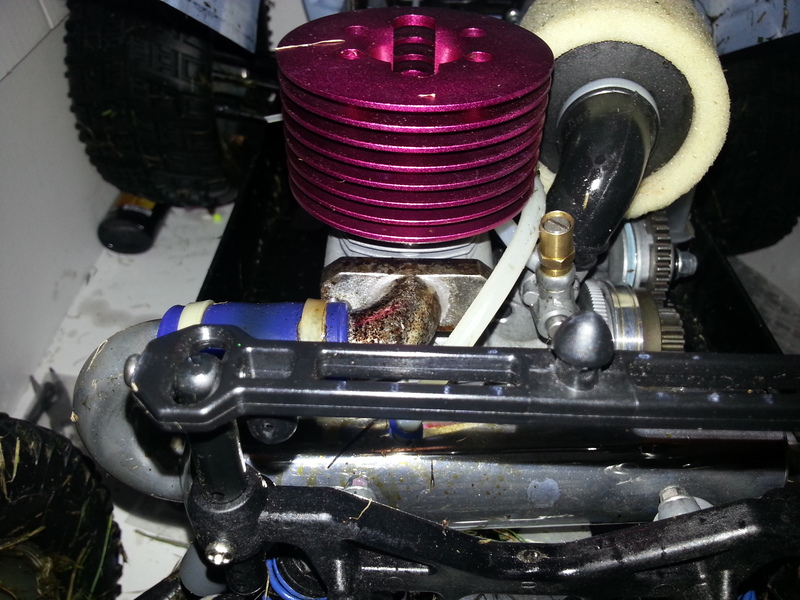 I re-tuned my engine after re-attaching the manifold and now its got the best performance I have seen so far. Its fast enough to pull wheelies just like in the promotional video. Posted on August 24, 2012 August 24, 2012 Categories Nitro, Remote ControlTags Nitro, s50, Sledgehammer, Thunder, Thunder tiger, Tiger, truckLeave a comment on Repaired my monster truck, its running faster than ever!